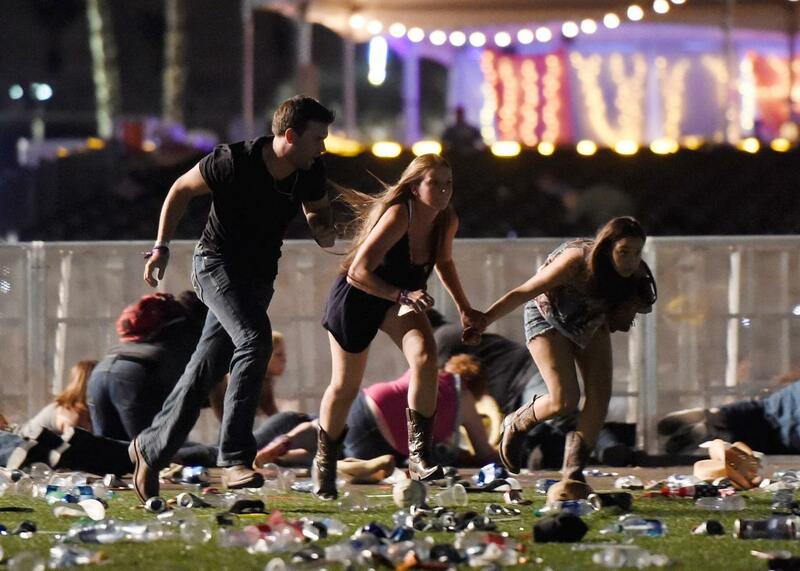 The act of terrorism that occurred last night in Las Vegas has caused me to revisit an opinion piece I wrote for a local newspaper several years ago, in the wake of the shooting at New Town. The original piece is behind a paywall, but I have copied here the manuscript. The urgency grows, as does my sense that nothing will be done. Those willing to excuse the wreckage guns have wrought have consistently triumphed. No matter what a rguments the advocates of gun control deploy– that the phrase “well regulated” implies some ability on the part of government to limit gun rights; that the verb construction to “bear arms” has been used almost always to describe a military use for weapons; that the Constitution is a “living” document that ought to be interpreted in the light of changing circumstances; and that the Founding Fathers could never have considered that the sort of violence acted out in Newtown and in the streets of Chicago a justifiable example of bearing arms–the advocates of “gun rights” will always have their tendentious reading of the Second Amendment to defend their position. So let’s repeal the Second Amendment. It is dated, lethal, and morally abhorrent. Americans have repealed amendments before. The Constitution is not a sacred text. It is a framework for government, the product of dozens of compromises. The men who framed the document envisioned that it would be changed. They made the process difficult and time-consuming, but it has happened. The NRA advocates an untrammeled right to keep and bear arms and asserts the constitutional right to do so. Meanwhile the killings continue. Let’s take aim at that part of the constitution that provides cover for the NRA. At our current pace, we will continue to bury too many victims of gun violence each month. The Second Amendment emerged out of a context unique to a new nation. When it was ratified, America’s leaders relied upon the militia for local defense, to punish Indians, and control slaves, and in a nation separated from its imperial rivals by the Atlantic, the militias were adequate. They distrusted standing armies. But the conditions from which the second amendment emerged obviously no longer apply. Repealing the Second Amendment would deprive no one of their guns, but it would empower the Congress and state legislatures to do something effectively to end the slaughter. Some jurisdictions will act with decision to limit magazines and increase background checks, and others will not. But let’s get rid of this antiquated and blood-drenched amendment. Let us not wait for the most determined advocate of gun rights to decide that too many have died.